HOLIDAY GIFT GUIDE FOR FITNESS FANATICS! Here's your guide to the BEST HOLIDAY GIFTS for your FIT friends & FAB fitness instructors! 1. UBER Gift Card - FitFreaks are always rushing to their classes and FitPros rely on public transportation to get from class to class. Spoil them this season with a couple rides from UBER! 2. 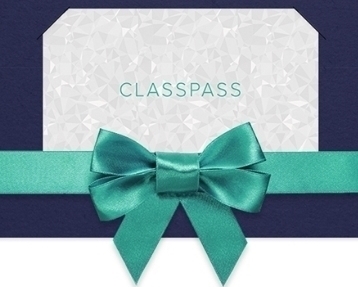 CLASSPASS - The "classiest" gift of the year, will keep your friends happy & healthy! Set a workout date and have them join you in your favorite classes in 9 different cities! $19, $99, & $297 options available! 4. DRYBAR Gift Card - Blowouts do wonders to that sweaty hair! If your fit & fab friend is heading to an event or hot date after a workout, they will love you for this $40 blow!